OPDEnergy issued the following announcement on Nov. 30. 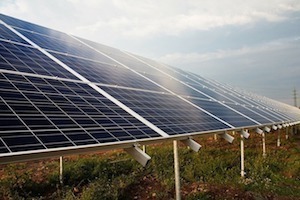 The multinational corporation OPDEnergy - specializing in the production of energy assets and in the management of all related phases (development, financing, construction, operation and maintenance) - will build 500 MW distributed in various photovoltaic solar projects located in Spain, Chile and Mexico next year. The investment for the aforementioned projects will be of approximately 500 million Euros, financed through the Project Finance Scheme with various financial institutions. OPDEnergy CEO, Luis Cid, explains that the success of closing the contracting of energy for more than 500 MW globally in the last two years is the result of a successful strategy that comes down to two levers. "The lever of diversification in the energy mix, opting not only for photovoltaic solar energy, but also for wind and hydro. And the lever of globalization, which we started off in Italy where we built 49 MW, England with 74 MW completed and now with Mexico and Chile in 2019 that will allow us to grow organically and sustainably in order to carry on expanding our current portfolio in development of more than 5,000 MW (5 GW)," he explains. As far as the Spanish market is concerned, it is worth highlighting that OPDEnergy was awarded 200 MW in the most recent tender put out by the Spanish Government, thus becoming the first private equity company - apart from business groups listed on the stock exchange or in the hands of investment funds - to be awarded more MWs (taking a sixth position in the total allocation ranking). Want to get notified whenever we write about OPDEnergy ? Next time we write about OPDEnergy, we'll email you a link to the story. You may edit your settings or unsubscribe at any time.